Huawei's EMUI 5.0 brings new features like one-button navigation, improved security, machine learning and other Android N features like multi-window support and quick switching option. Huawei is reportedly planning to roll out Android 7.0 Nougat based EMUI 5.0 for its smartphones in India later this month. It is expected to bring new features like one-button navigation, improved security, machine learning and other Android N features like multi-window support and quick switching option. Android Authority reports that the update will arrive for Honor 8, Honor 6X, Honor 5C and Huawei P9 smartphones. 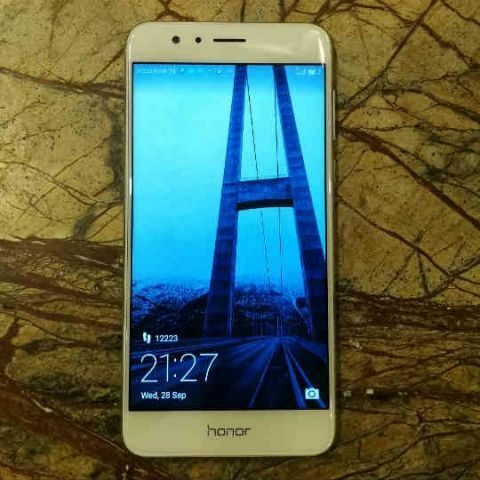 It also notes that Huawei sub-brand, Honor will announce Honor 8 Lite next week with EMUI 5.0 pre-installed. Huawei claims the new version of EMUI will fix issues like lag by optimally allocating resources for different tasks. "We often hear users complaining about the lag and boring experience that is experienced in Android devices post prolong usage. The new EMUI 5.0, is more efficient, secure, and user-friendly. It significantly cuts down on the number of steps needed to achieve the desired function. The user can now reach 90% of the core functions in just two to three clicks," the company spokesperson told Android Authority. Other enhancements include improved machine learning techniques to provide regularly used apps with more processing power and memory. The EMUI 5.0 will also offer localisation such as language support, themes and calendar. It will support 14 languages including Tamil, Telugu, Punjabi, Kannada, Gujarati, Hindi, Bengali, Marathi, Assamese, Nepali, Malayalam, Oriya, Urdu, and Maithili.